Longtime Chicago activist on media and labor issues Larry Duncan has passed away. Memorials have been posted by Labor Beat and by Chicago Media Action. Word leaked to Chicago corporate media this morning [March 23, 2017] that the assassin of Laquan McDonald is facing 16-additional counts of aggravated battery, in addition to the standing six counts of murder. To oppose the litany of horrors expected to be unleashed by the current resident of the White House, Chicagoans took to protest in one of the largest mobilizations in Chicago history. 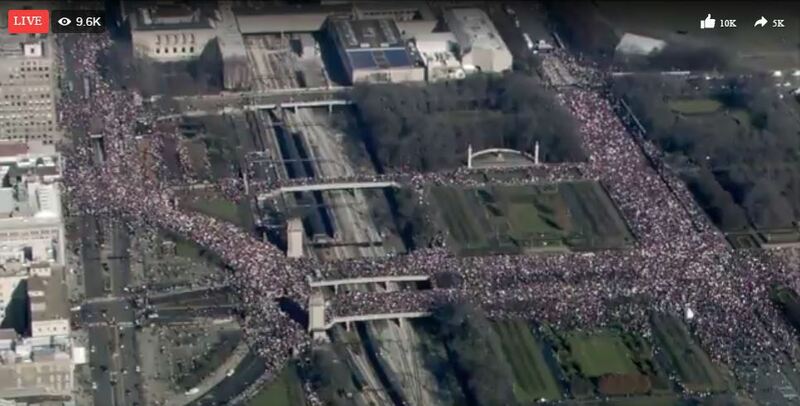 The Women's March on Chicago, held on Saturday, January 21, 2017, exceeded expectations by orders of magnitude — which the police and the corporate media acknowledged numbers upwards of 250,000 people, ranking it among the very largest protests in Chicago history. [Pictures] The protest grew so large it became too big to march (name notwithstanding). The Women's March on Chicago was joined by sister protests across the USA and around the world, whose combined participation made it one of the largest days of protest in history. The next challenge is how to translate the energy of the marches into further political action, to transform the success of the marches "from a moment into a movement", a question participants have taken with earnest. New rules in the wake of the killing of Laquan McDonald require Chicago police to release footage of a fatal shooting by police within sixty days. But the new rules result in the same-old-same-old as released footage confirmed police misconduct in the July killing of 18-year-old Paul O'Neal. The video's release sparked a new wave of street protest and outrage. A number of unanswered questions remain, including why officers' body cameras were inexplicably deactivated during the actual shooting. What's more, a number of Chicago street organizations have reportedly met on the issue, and some Chicago officials have held police accountability hearings. 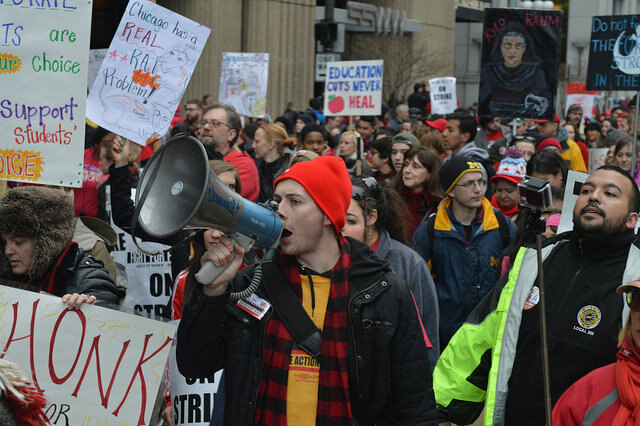 In response to an ongoing contract fight, an increasingly under-resourced school system and unfair labor practices, the Chicago Teachers Union launched a one-day strike on April 1, 2016, organizing pickets at every CPS school, and holding rallies of support across Chicago. In the course of doing so, the CTU has ventured into murky legal waters by staging a strike that may be illegal, getting sued in the process. (Rarely do American unions strike when such strikes could be illegal.) The union has referred to such charges as "bogus" and has continued to seek funding and justice for Chicago schools and Chicago children. Student protesters and allies stopped a Chicago rally for demagogic Republican presidential candidate Donald Trump before it began. 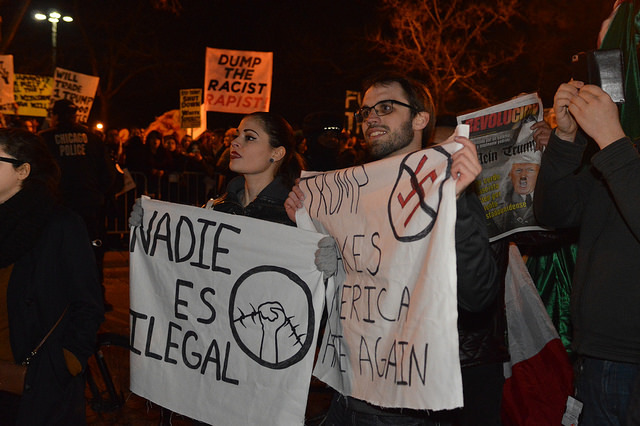 The rally, scheduled for Friday, March 11, 2016 at the UIC Pavilion, faced a diverse opposition both inside and outside. Student organizers at the University of Illinois at Chicago, about 60 in all, organized two protests: one inside the pavilion where nearly a thousand opponents congregated, and a second protest outside, starting with a brief rally at the UIC East Campus, followed by march to the pavilion. An estimated 3000 to 8500 people took part in the outdoors protest. Those protesting Trump reflected the diverse variety of people whom Trump openly insulted in his public statements: one survey listed "student groups including the Young Democrats, Students for Justice in Palestine, the Black Student Union, [the] Muslim Student Association, and Mexican Students of Aztlan." Other listed Chicago groups who took part included "Black Lives Matter – Chicago, Black Youth Project 100, We Charge Genocide, the Chicago Alliance Against Racist and Political Repression, the Immigrant Youth Justice League, along with many Chicago Teachers Union members, and others from the local Latino community." Protesters have faced expulsion at Trump events in the past. But the much larger number of protesters inside the UIC Paviliion, comprising perhaps an eighth to a third of all the attendees, would be too large to try to remove. Hence, Trump stopped the rally. The Chicago Police Department never recommended a cancellation, and neither the Chicago police nor the UIC police reported a security problem. As commenter Bill Chambers wrote: "This is the first time that a Trump rally was cancelled before it even started because of widespread protest. It will very likely not be the last. Now we know there are two things Donald Trump is afraid of – Megyn Kelly[,] and the people of Chicago." A government whistblower's tip and a year-long campaign by a law professor and two independent journalists to retrieve the dash-cam video of the shooting of a black teenager by Chicago police has led to the highly-publicized release of the video. The video has spurred ongoing protests that have rocked Chicago and the Chicago political establishment, brought murder charges against the offending officer, and claimed the job of Chicago's police superintendent. On October 20, 2014, at 41st and Pulaski, Chicago police officer Jason Van Dyke shot 17-year-old Laquan McDonald 16 times at point-blank range. Video from a Chicago police car dash camera confirms the killing, and a still-anonymous whistleblower informed attorney and law professor Craig Futterman as well as Chicago journalist Jamie Kalven to the video. Amid pursuing the investigation, Futterman and Kalven called on the city to release the video. Another independent journalist -- Brandon Smith -- joined the fray, filing an Illinois Freedom of Information Act request, and then suing the city (with pro-bono legal help) to release the video when no other media outlets did. Meanwhile, the Chicago City Council paid Laquan McDonald's family $5 million dollars in a settlement. The case ground on and finally, on November 19, 2015, the city was ordered by a Cook County judge to release the video of McDonald's killing no later than November 25th. On Tuesday, November 24th, Chicago police released the video. The impact of the release was swift and potent. That evening, thousands took to the streets in protest`, leading to a number of arrests including felony charges against a prominent poet and activist; the charges were subsequently dropped. Protests continued for the rest of the week, including a massive protest on the Friday after Thanksgiving that blocked many Holiday shoppers and caused noticeable reductions in holiday sales at downtown Chicago stores. 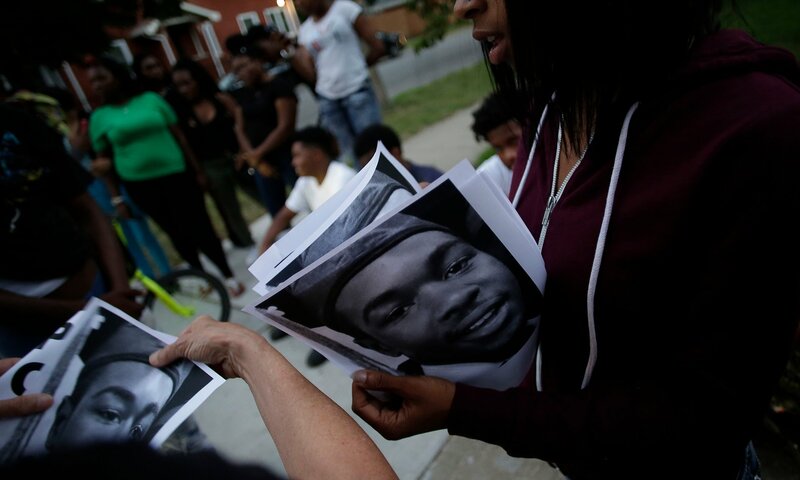 The case now grew to national and international attention, becoming the latest chapter in the BlackLivesMatter movement, and in the midst of hardball drawing ever-louder calls for reform and resignations of three of Chicago's leading political power brokers: Chicago police superintendent Garry McCarthy, Cook County State's Attorney Anita Alvarez, and Chicago mayor Rahm Emanuel. Weak-kneed reform efforts were announced to stem the criticism, to no avail. One week after the release of the Laquan McDonald video, Emanuel fired Superintendent McCarthy. Alvarez faces a primary election in March 2016, and has laid blame squarely on Emanuel. Emanuel has been heatedly fending off calls to resign. (Chicago has no impeachment protocol for its elected officials, absent a criminal conviction.) Calls for a federal probe into Chicago's police are growing. Meanwhile, the issue rages on. 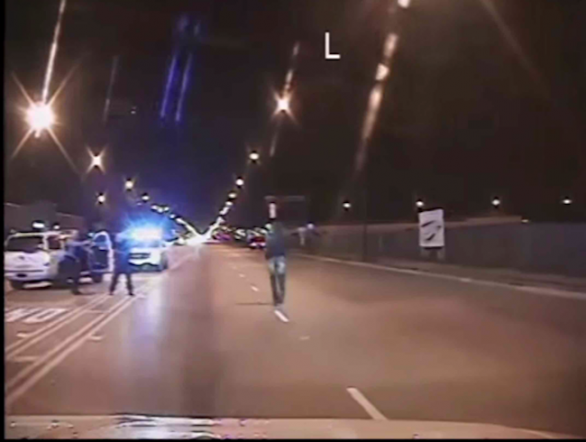 In the wake of the Laquan McDonald video release, attempts to release additional videos of asssassinations by police have gathered fresh energy and attention. The McDonald case itself still has a great many unanswered questions. And calls for additional reform for policies regarding Chicago police and Chicago politics have been given new life. How that unfolds remains to be seen, but as Rahm Emanuel himself said, "you never want a serious crisis to go to waste". Chicago activist Rasmea Odeh, who was jailed and convicted on bombing charges that she says she confessed to via torture and sexual assault, is appealing her conviction at the 6th Circuit Court of Appeals in Cincinnati. Odeh, along with many supporters, feels that she was targeted because of her support for Palestine. To support the appeal, the Rasmea Defense Committee organized bus caravans from Chicago and across the midwest, converging in Cincinnati for the appellate hearing. Early reports from the hearing were encouraging for Odeh's supporters; defense attorneys argued that Odeh never got a full and fair trial, while the prosecution fumbled in its response. A ruling is expected in the next one to four months. Residents of Chicago's Bronzeville neighborhood have struggled for years to halt and reverse the neoliberal assault against the open-enrollment Dyett High School. A Request for Proposals process for Dyett, whose own rules were violated by Chicago Public Schools (CPS), was the proverbial last straw. In response, twelve activists launched a liquid-only hunger strike on August 17, 2015, not to conclude until a number of demands for reopening and restoring the school are met. 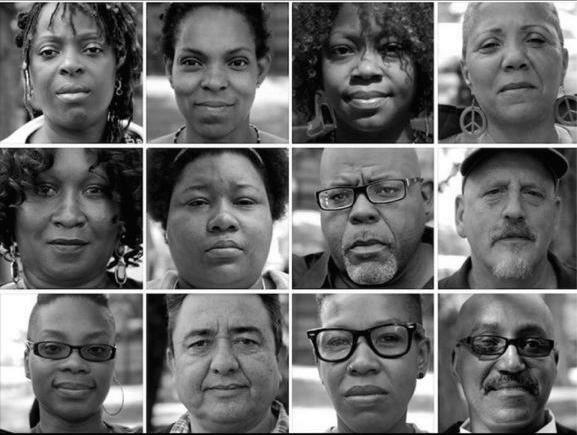 Labor Day 2015 marks the 22nd day of the Dyett 12 hunger strike. The hunger strike has galvanized the community, earned local and national media coverage, and widespread buzz on social media. At least three of the Dyett 12 have received medical care during the hunger strike. Officialdom's response has been lukewarm: Mayor Emanuel agreed to a meeting with Dyett 12 activists, and was chased off the stage of a budget hearing by activists. On September 3, 2015, CPS announced that Dyett will reopen as an open-enrollment, arts-themed high school. The Dyett 12 have rejected the proposal, saying the proposal doesn't fulfill public demands, and have vowed to continue the hunger strike. 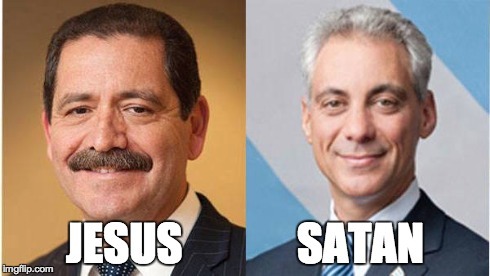 Rahm Emanuel has been declared the winner of the 2015 Chicago mayoral runoff over Jesus "Chuy" Garcia. Rahm held an overwhelming spending advantage (as much as $45 million spent in the 2015 primary and runoff by some estimates), media saturation and smear campaign, and reports of ballots pre-marked for Rahm. Some 1.1 million out of 1.4 million registered Chicago voters (nearly four-fifths) didn’t vote for Rahm, and one progressive voting organizer has declared "The Rahm Emanuel we know is broken". Nevertheless, Chicagoans can expect four more years of continued school cuts, suspicious fiscal policies, protests against all of the above, and the christening of a new progressive electoral machine. For the first time since Chicago switched to non-partisan mayoral elections in 1996, Chicago will have a runoff for the mayor's office. The two remaining contenders are Cook County Commissioner Jesus "Chuy" Garcia and incumbent politico Rahm "Voldemort" Emanuel. Emanuel held many advantages to help avoid a runoff and secure early victory: name recognition, connections, a wide array of endorsements, the lowest turnout in recent memory, and a budget far greater than the combined opposition to pay for the saturation of Chicago's radio and TV airwaves with dubious advertisements. But Chicago voters were slapped around by Rahm's policies, including sweeping mental health clinic closings, the largest school closing in American history, the maintenance of a draining Tax Increment Finance system, and a criminal police apparatus. Voters denied Rahm his majority to win. Garcia is a former Chicago alderman, member of the staff of former mayor Harold Washington, and current Cook County commissioner. Garcia has nowhere near the business connections that Emanuel has, which Garcia has touted to his advantage, and has received the endorsement of the Chicago Teachers Union that defeated Emanuel in the CTU's famous 2012 strike. Garcia has the potential to fuse the votes that didn’t go to Emanuel, that could shape the majority needed to win. As the Chicago weather is bound to warm up, the number of voters heading to the polls in a runoff are expected to increase, thus improving Garcia's chances. Political commentators are mixed regarding the outcome, and early polling has deemed the race a “dead heat” with nearly a fifth of polled voters deemed undecided. 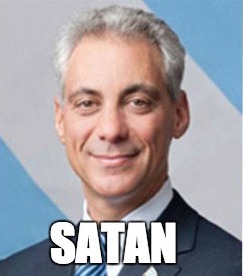 UPDATE: Emanuel may have had his first public meltdown moment. Chicagoans have taken to the streets to protest the effective acquittal of police officers in Ferguson, Missouri (in the Michael Brown case) and New York City (the Eric Garner case). On November 24, 2014, after the grand jury formally declined to indict police in the death of Michael Brown, protesters took to the streets across America. In Chicago, activists marched from Chicago police headquarters to downtown Chicago taking over Lake Shore Drive en route. On November 25, activists occupied City Hall. Then when mass arrests appeared imminent, the occupiers abruptly left to march to Tribune Plaza. On December 4, 2014, another grand jury declined to indict police in the recorded choking death of Eric Garner, resulting in another wave of protests across America. In Chicago, activists launched waves of sit-in protests and blocked traffic on Lake Shore Drive in both directions. The protests continued on December 13, 2014, with another wave of protest called MillionsMarch that saw considerable numbers. 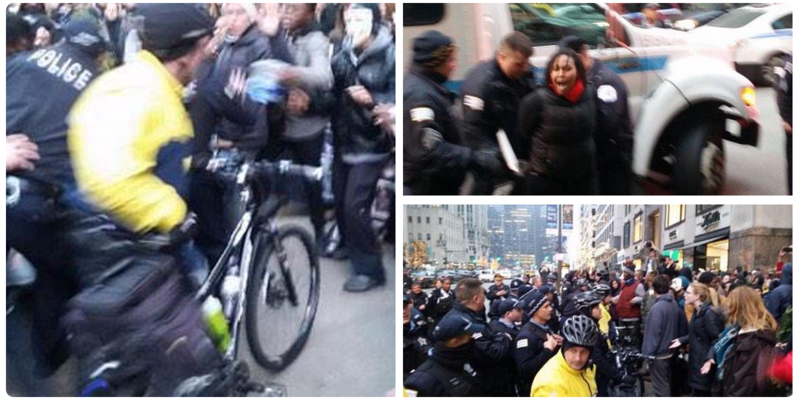 The Chicago protest -- MillionsMarchChi -- took over downtown Chicago with marches and die-ins; police repression followed, with about two dozen arrests -- including two on felony charges. The protests are poised to continue and even escalate, with a number already scheduled for the week of December 15, 2014. Commentators are noting that the protests have put the national police apparatus in a crisis of legitimacy, which in a historic "critical juncture" may lay the groundwork for dramatic changes.